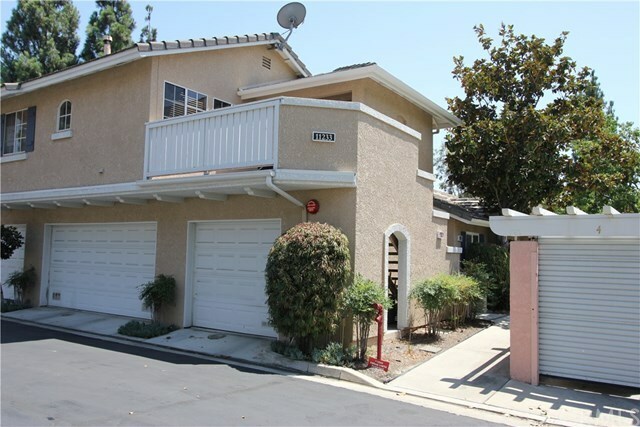 Located in the pristine Antigua condominium complex in the heart of Rancho Cucamonga. This single story upper level unit offers 2 good sized bedrooms, remodeled kitchen with granite counters and breakfast bar, cozy living room with fireplace, wood flooring in living/dining rooms, indoor laundry, and 2 full baths. Freshly painted interior. Desirable end unit with one car garage. Premium and private location with front patio area overlooking lush green belt. Antigua offers nicely maintained grounds and pool/spa/clubhouse only steps away. Plus, Antigua is walking distance to Central Park and only minutes from Terra Vista Mall, Victoria Gardens, award winning schools, freeway access and much more. The perfect venue for the small family, college student, rental and more. Directions: Make left as soon as you enter Antigua, curve right to last street, right again and park at end. Walk up green belt 100 ft or so.